So the world didn’t come to an end after all. Shocker. 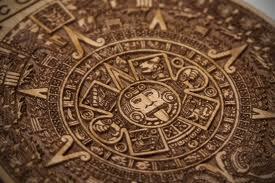 Even the Mayans thought the whole thing was ridiculous. But in the midst of all the jokes on Facebook and around the proverbial water cooler, many people did take the whole thing seriously; and that’s no laughing matter. They called NASA, stocked up on food and ammunition, and just generally freaked out. No matter how moronic the rest of us thought it was, these were real people who were really scared. How do we explain this crazy behavior? One answer might be that without belief in a loving, personal God who has an intentional plan for his creation, otherwise rational and decent people will continue to easily to fall for such delusions as the Mayan calendar doomsday prophecy. You see, there is the old adage that if you stand for nothing you’ll fall for anything. And given the fact that standing for nothing in terms of any serious belief in God seems to be the hot thing these days, it’s pretty easy to see how an increasing number of people will be led astray by strange and fanciful predictions like this one. Despite all the efforts to convince humanity that there is nothing more in the universe than the cold hard facts of Science, people still hunger for the spiritual. They want the transcendent – which is exactly what Science can’t offer. There is nothing wrong with Science, its just that it isn’t enough. So give them some awareness of the Great Beyond, even if its tragic and scary, and they’ll run after it. Especially in the absence of any other spiritual foundation that would offer some type of truth to counteract it. More to the point, however, perhaps the fascination with doomsday prophecies such as this erroneous apocalyptic prediction reveals something deeper: in the absence of a Creator, the only thing left to worship is the creation. And what a dangerous and brutal god the creation is! The point is, we have to worship something, and what we worship we usually fear. When there is no God who is in charge of his creation, both in power and purpose, then the creation itself becomes a god – a god with no ear to listen, no heart to love, no eyes to see. It is wild, unpredictable, and ultimately destructive. St. Patrick noticed a similar fear of creation among the Irish when he arrived there as a missionary in the 4th century AD. He found a people who appeared brave and barbaric, but on the inside they were deeply fearful of the world around them. Thomas Cahill, in is book How the Irish Saved Civilization, describes how the Irish believed in the idea of shape-shifting – that everything in nature could change its form and turn against them. In Irish life there was nothing real you could depend on. Everything was a threat. The creation itself was the enemy. Cahill writes, “[shape-shifting] suggested subconsciously that reality had no predictable pattern, but was arbitrary and insubstantial.” (p. 113). So when St. Patrick began to convert the Irish to Christianity, one of the results was a belief in the authority of God over nature. And if a good God is in charge of nature, then nature can be “trusted” to serve his purposes. So in Genesis 1:1 it says, “In the beginning God created the heavens the earth.” Right out of the gate the fundamental idea is that nature is not God; God is God. The sun, moon, and stars are inanimate objects created for God’s glory and our good. They are not to be feared because they have been fashioned by God for his purposes. What does this have to do with the Mayan apocalypse of 2012? Everything, really. The fear of a failing, chaotic creation will continue to be repackaged and resold to every generation until the end of time. This latest one just happened to have its basis in the calendar of an ancient civilization. But there will be others. For years we’ve been told to fear the constant threat of man-made global warming and its implications. It is the most sophisticated of the doomsday prophecies – you will always be cool if you let global warming frighten you to the core. Does Christianity have its own apocalyptic vision? Absolutely. But the difference is that we are told to take comfort in, and not to fear, the second coming of Jesus Christ. Christians believe that the end of the world will come when God’s purpose is accomplished. And with that, the earth is not so much destroyed as it is redeemed. Thus, the end is truly the beginning, and a better life awaits those who have believed. Until that time comes, however, those who have faith in the God of St. Patrick and St. Paul can sleep peacefully at night and not fear comets, meteors, aliens, unrecycled bottles and cans, and everything else that we’re told is going to wipe us off the earth. As for tomorrow, my money is on the fact that the sun will rise, the Earth will turn, and the laws of physics will remain intact. Our God is good, and the Psalmist says, the earth and everything in it belongs to him.